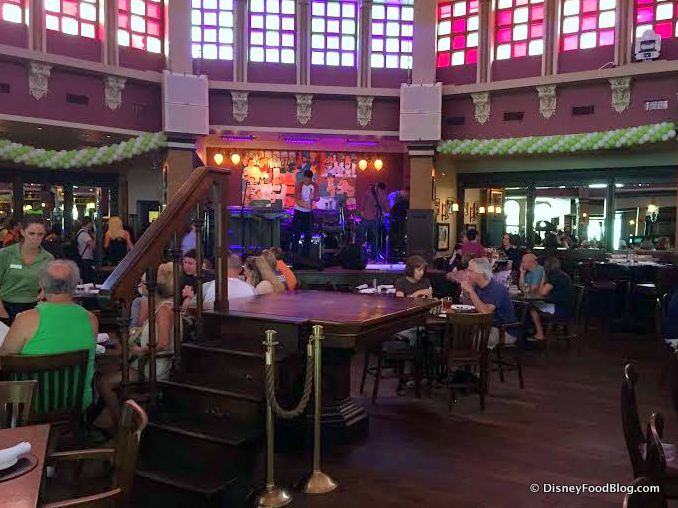 We’re taking in lunch at Raglan Road Irish Pub in Disney Springs! 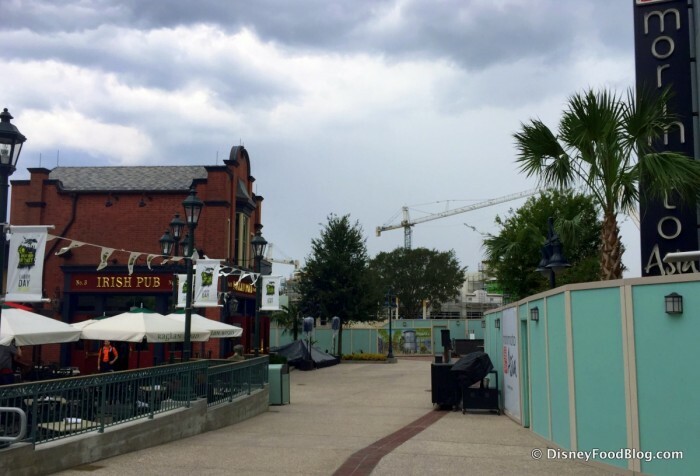 If you’ve visited Disney Springs recently, you know that the area once known as Pleasure Island is practically unrecognizable from what it was two years ago. Construction walls abound, and new restaurants and shops seem to be opening every day. The good news is that those walls seem to be decreasing every time I visit. 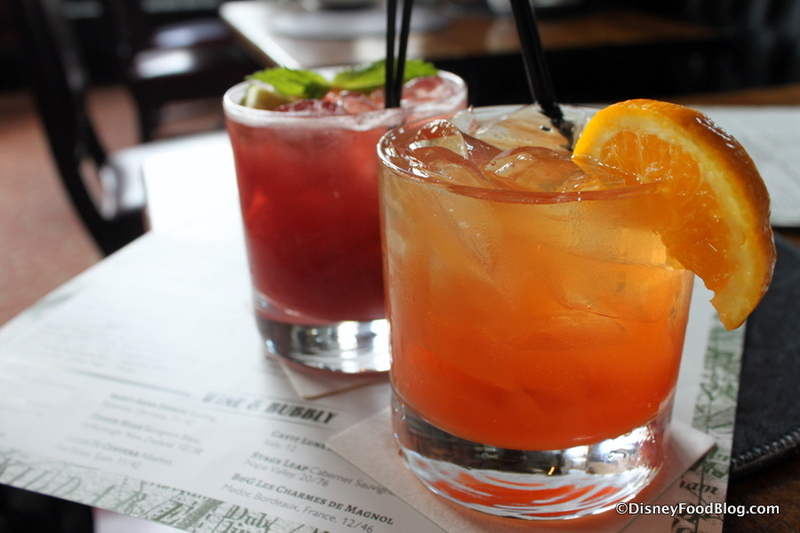 And so on a recent research visit, I headed over to Raglan Road to take a peek at some new cocktails and have a bite to eat! As I’ve said, if you haven’t visited for a while, all the work at Disney Springs is going to shock you. While Raglan Road used to stand front and center, easily viewable from the parking lots, now it’s a bit of a walk to get here from the nearest parking building. You should budget at least 10 minutes or so if you’re coming from the parking garage. But once you navigate your way to the entrance, you’ll find familiar surroundings. The podium where you check in is located in the restaurant’s foyer. If the wait is long, plan on standing; there aren’t any seats in the waiting area. 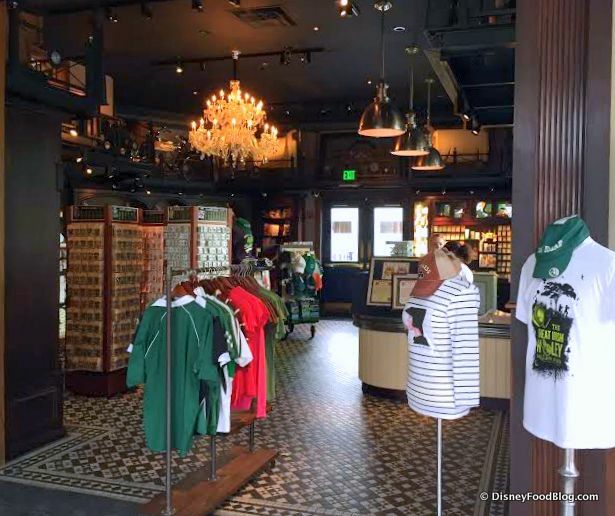 To the right is a gift shop, where you can purchase Guinness and Raglan Road memorabilia, in addition to other souvenirs from Ireland. 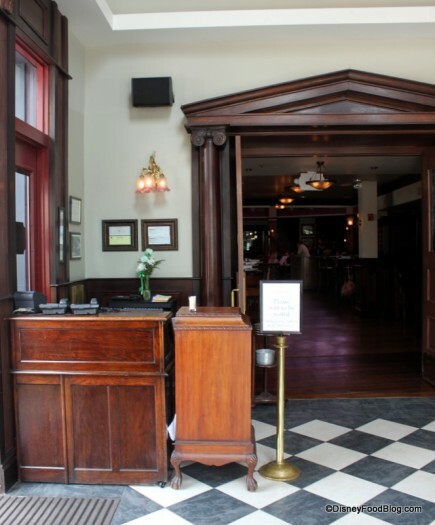 The restaurant itself is divided into three rooms. The main room features two large bars, performance stages, and plenty of seating. The central dancing podium is the platform from an Irish church’s pulpit! 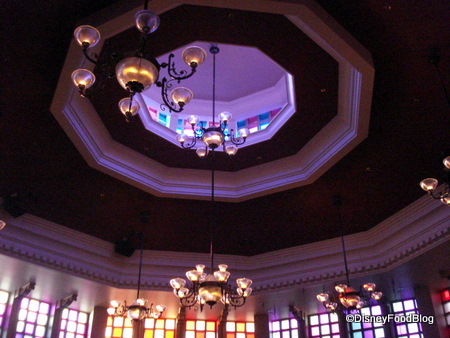 Ceilings soar in the main room, culminating in a cupola trimmed in stained glass. Because of the hard surfaces and high ceilings, the main room can be extremely loud during the dinner hour, when there is live music and Irish dancing. The entertainment is top-notch, but it can make conversation impossible. We were visiting during lunch, however. So there was no live entertainment happening during our time there. Things are slightly quieter in the Music room, where seating is comfortable and there’s plenty of natural light. But the quietest seating of all is located in The Raglan Room. This cozy space offers lower ceilings and a beautiful fireplace as a focal point. I still haven’t ever been seated at that fireplace table, but I’ll keep my hopes up. 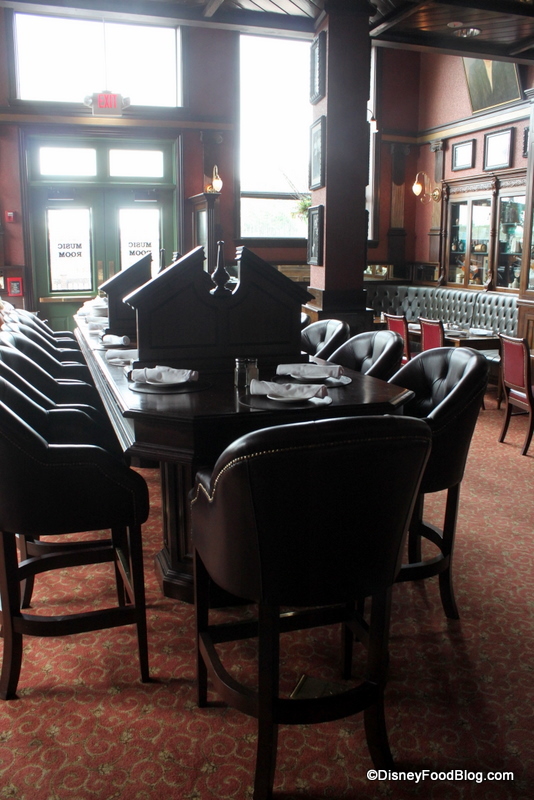 While there’s a comfortable feeling of familiarity about Raglan Road and its antique decor — much of it was salvaged from Irish Churches and Pubs and brought to Orlando — the restaurant keeps changing and updating. As they celebrate their 10th anniversary in 2015, they are making changes. 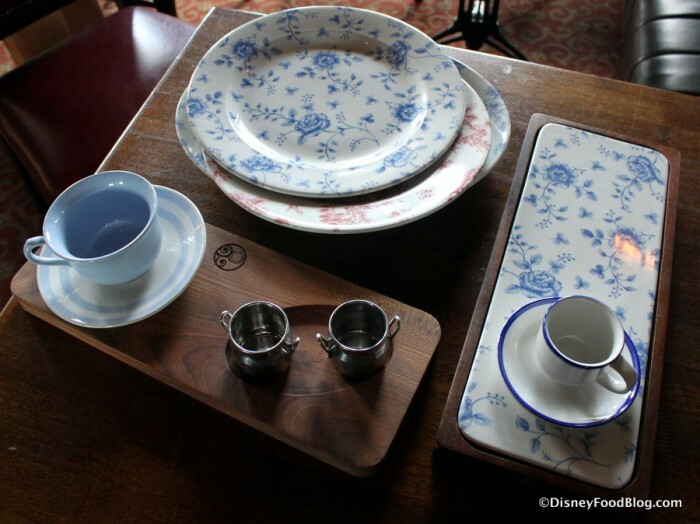 One of the big updates this year will be the dinnerware used in the restaurant. Up to now, the pieces have been a contemporary white. 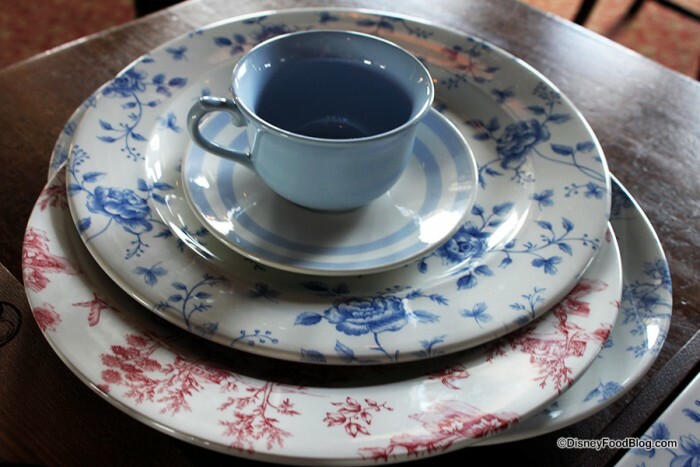 Soon, Raglan Road will change to china that has more of a homespun feel, in keeping with the spot’s antique feel. All things old are new again, right? So — that’s your latest tour of Raglan Road! Time for LONCH!!!! 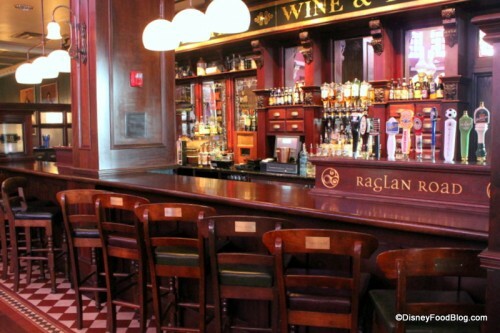 Raglan Road is equal parts pub and restaurant, so you can expect attention to detail when it comes to both drink as well as food. But if you think the beverage menu begins with beer and ends with whiskey, you’re in for a pleasant surprise. 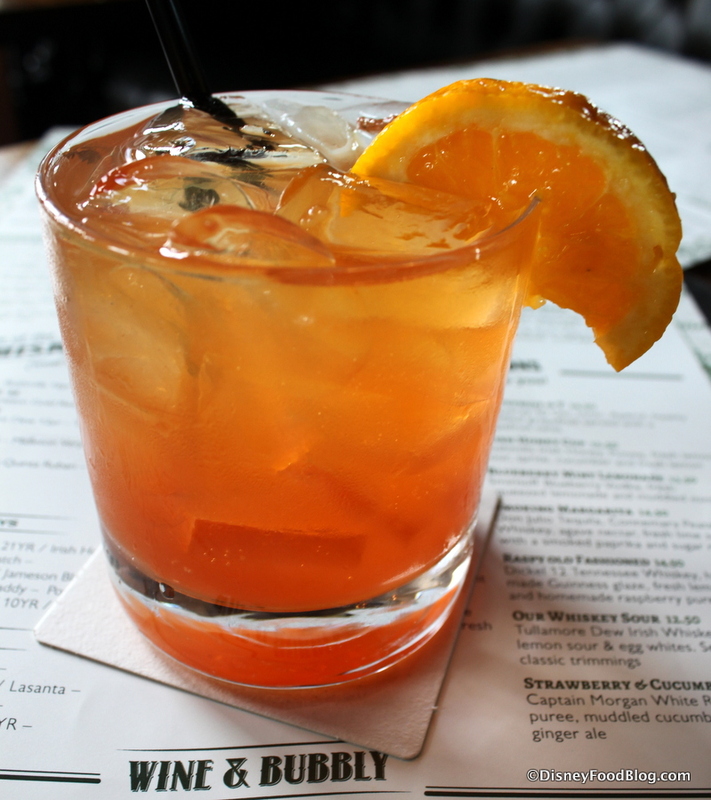 Earlier this year, the pub debuted a brand new Cocktail Menu, with an emphasis on fresh flavors and trends. We tried several of the cocktails at an earlier visit, so be sure to check out all of the pictures and impressions here. And don’t worry — there’s still plenty of beer and whiskey to choose from for the purists out there. This time out, we decided on two drinks that I hadn’t previously tried. First up was the Blood Orange Bourbon, a combination Bulleit Bourbon, Nollet’s Gin, and San Pellegrino Blood Orange. This one was powerful and fruity. I’m a huge fan of San Pellegrino Blood Orange, and enjoyed the bit of bubbly it gave to the drink. 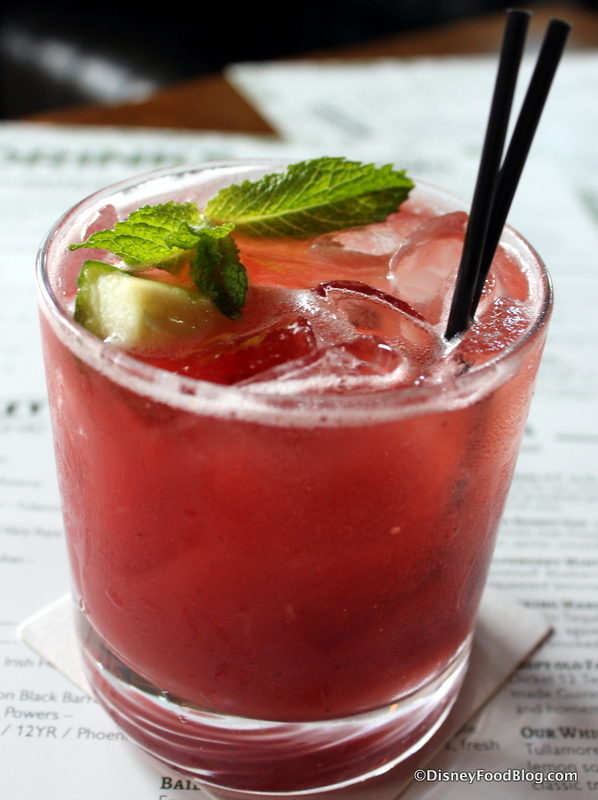 My friend went with the Strawberry and Cucumber Mojito, which combined Captain Morgan’s White Rum, Strawberry Puree, Muddled Cucumber, Lime Sour, and Ginger Ale. There was a LOT going on here. While I’m not a huge cucumber fan, it lent this drink a distinct freshness, and the Ginger Ale gave the drink that trendy edge Raglan has been working to achieve. On to the eats. 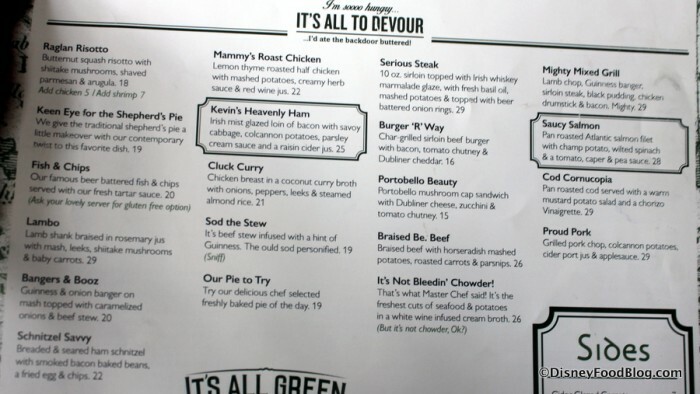 The menu is extensive (and funny — be sure to take the time to read), and we’ve tried and enjoyed several of the Appetizers here. I always recommend the soup — regardless of what it is! I’ve never had a bad soup at Raglan Road. That’s mostly because every soup seems to include copious amounts of cream and butter. The Wild Forest Mushroom Chowder is my favorite even though I don’t like mushrooms. Go figure. There are some hearty Entree Salads available as well. Finally, an extensive offering of Entrees rounds out the menu. 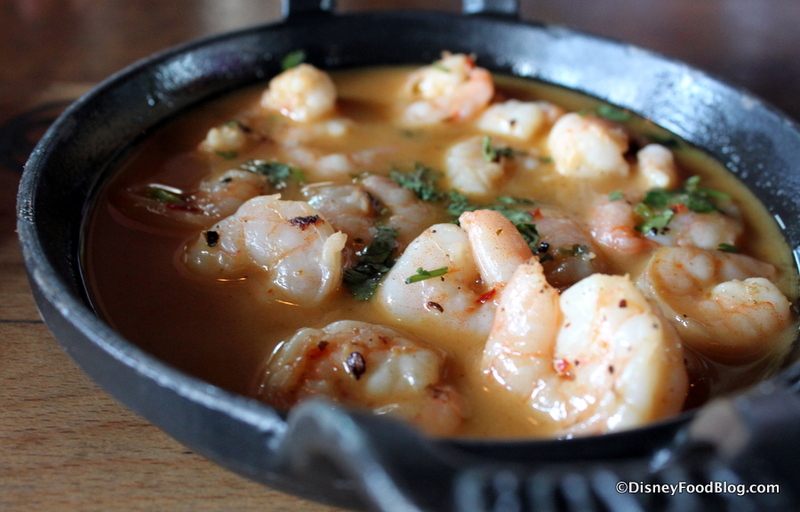 Post-bread, we chose a dish I hadn’t tried before to start — Kiss Before Shrimp. The name refers to the presence of a LOT of Garlic. 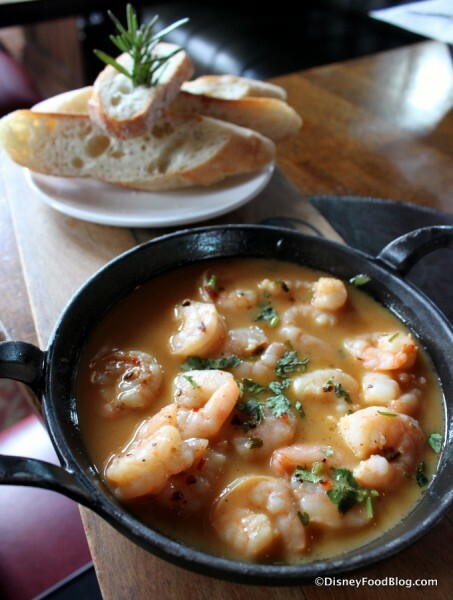 The Pan Seared Shrimp also features flavors of Chili and Butter, and is served with a sliced Baguette for enjoying the leftovers. 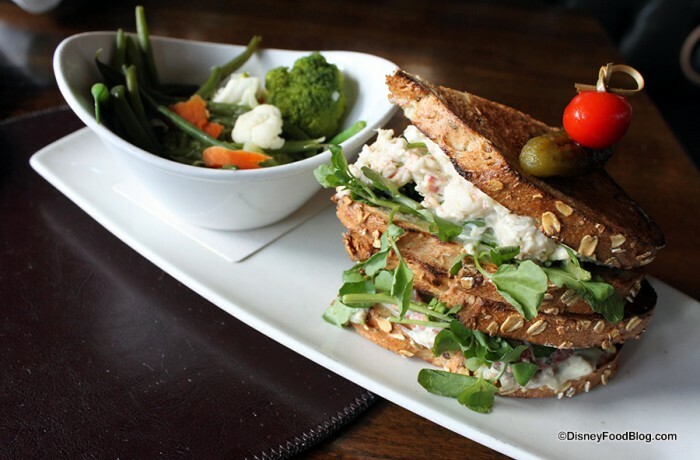 There’s a reason this dish has been on the menu forever; it’s pretty outstanding. It’s savory more than salty, and slightly spicy — but still light. This would be a great, simple entree if you’re a shrimp fan; but as a shareable appetizer, there’s plenty for everyone. 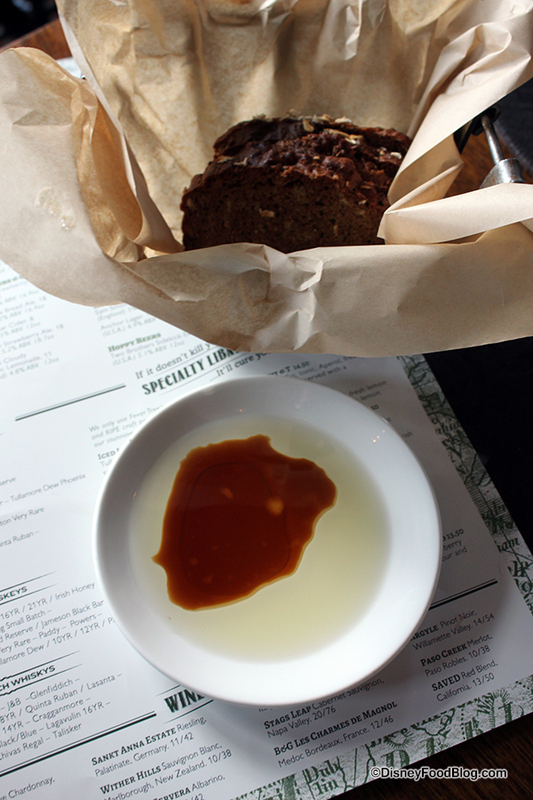 That said, definitely request more bread for dipping! We both chose to go the route of sandwiches for our entrees. I spotted the Three Times a Boxty on the menu and wondered why I’d never had it before. 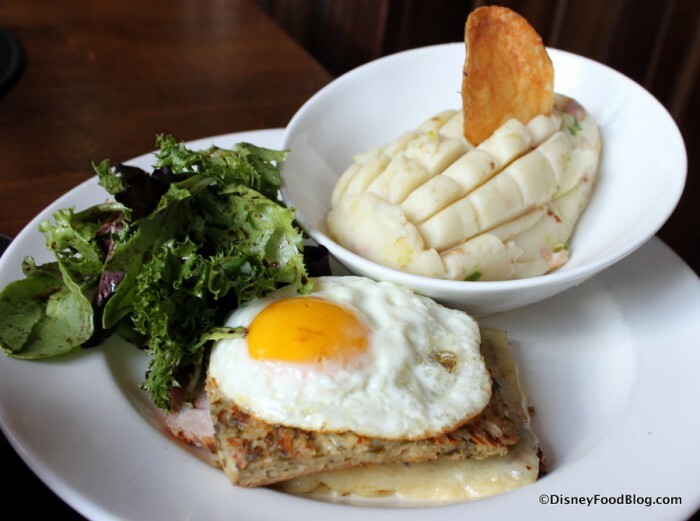 Um…ham, cheddar, pan-seared potato cakes, and a fried egg? Wha?!? Why have I not eaten this? 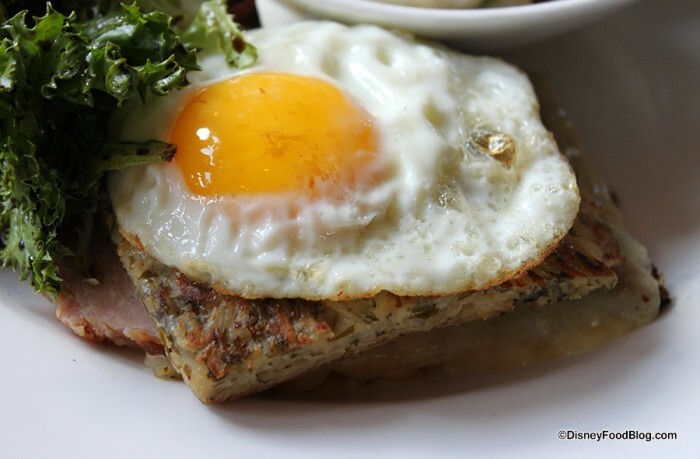 For those, like me, who have never heard the term “Boxty” before — it’s a unique type of potato pancake, as they smoosh together both mashed and grated potatoes. Here’s a close up of that pretty fried egg. Love those brown, seared edges. The dish comes with a choice of side, and I went for the Colcannon Potatoes for two reasons: 1) I was clearly in the potato mindset with that whole “boxty” thing, and 2) The Mashed Potatoes and Cabbage combo here is pretty delicious and I’d never given it the attention (read: stomach space) I’ve wanted to in the past. Super pretty, right? And so much flavor. This is the side dish that you’re going to have to have someone personally remove from your presence in order for you to stop stuffing your face with it. Oh, wait, maybe that’s just me? My friend went with a sandwich that is relatively new to the menu — the Lobster Club. For a side, she went with Roasted Vegetables. 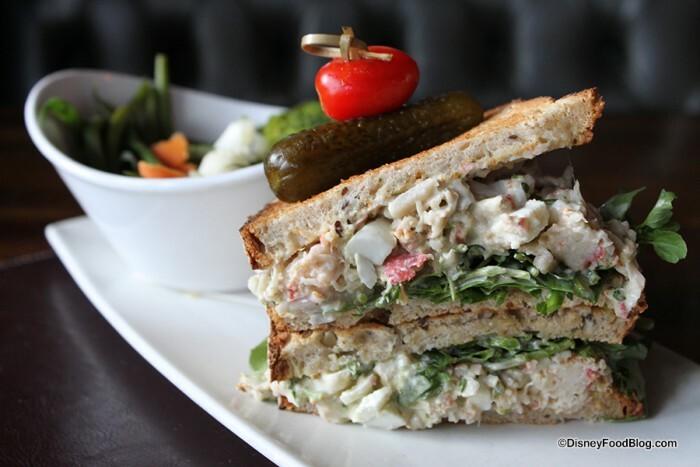 The sandwich features a Lobster and Avocado Salad paired with Watercress and Crispy Pancetta. She was a big fan of this flavor and texture combo. 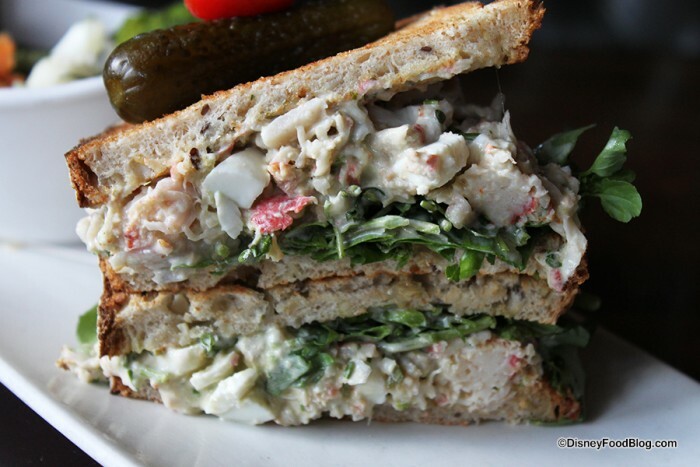 Citrus Herb Mayonnaise ties all of the flavors together. Finally, we indulged completely by ordering one of my favorite things ever — the Irish Vintage Cheese and Bacon Dip, pictured here with a side of Chips. It’s on the menu at Cookes of Dublin, Raglan Road’s counter service/takeaway option around the corner from the main restaurant. But since they share a kitchen, you can score it here as well. There’s your DFB Tip for Today. Having enjoyed a thoroughly filling meal, we decided to skip dessert this time around. But here’s the Dessert Menu so that you can get an idea of what they offer. The Trifle Sinful features fresh flavors of Jam-laced Swiss Rolls, Berries, Custard, Fresh Cream, and Almonds. And Fluffy Lemon Clouds combines Lemon Curd and Meringue in a classic Tart. You can’t go wrong with any of these classic flavors. 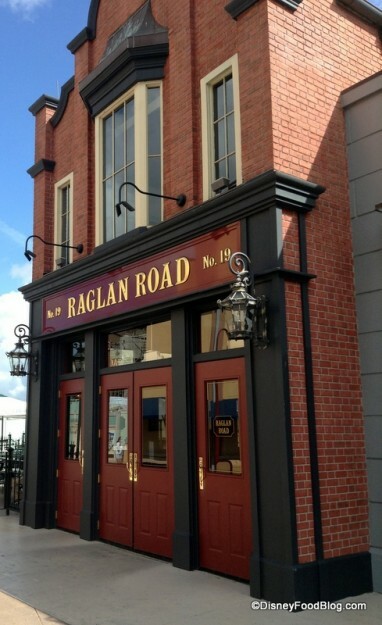 Raglan Road continues to impress. If you go to Raglan Road expecting only traditional Irish fare, you may come away perplexed. 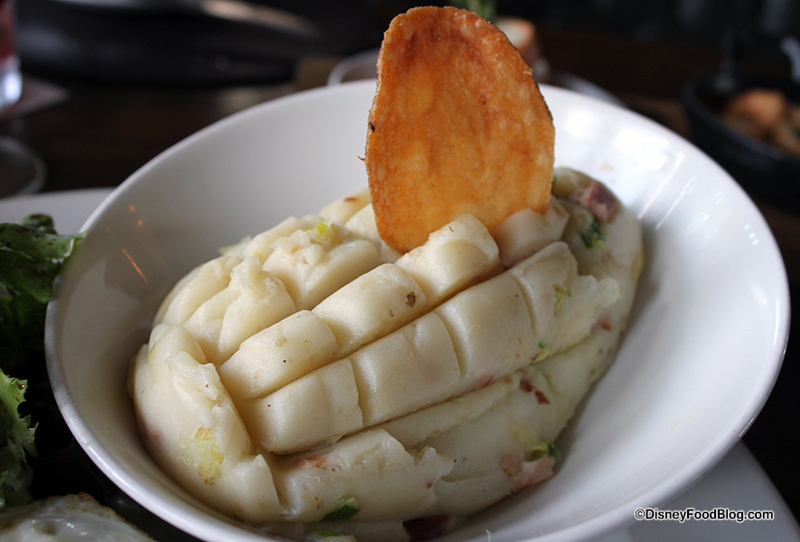 You will find nods to classic dishes, like Shepherd’s Pie and Fish and Chips. But you also find something equally interesting to the open-minded: a glimpse of what’s happening in the Irish Food Scene currently. Right now, Ireland is a hot bed of activity when it comes to the Slow Food, Farm to Table Movement. It’s a natural fit, since there is so much rich agriculture in the country. But it’s interesting to see that Raglan Road continues not to showcase only the classics, but to attempt to convey a picture of what’s happening from a food perspective in Ireland currently. But when it comes to a straight-up recommendation, I’ve honestly not had a bad meal here, and that’s saying something. Will you be dining at Raglan Road on your next Disney World trip? Leave a comment and tell us what you think! 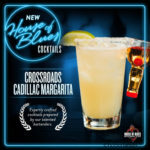 New Cocktails at House of Blues in Disney Springs! 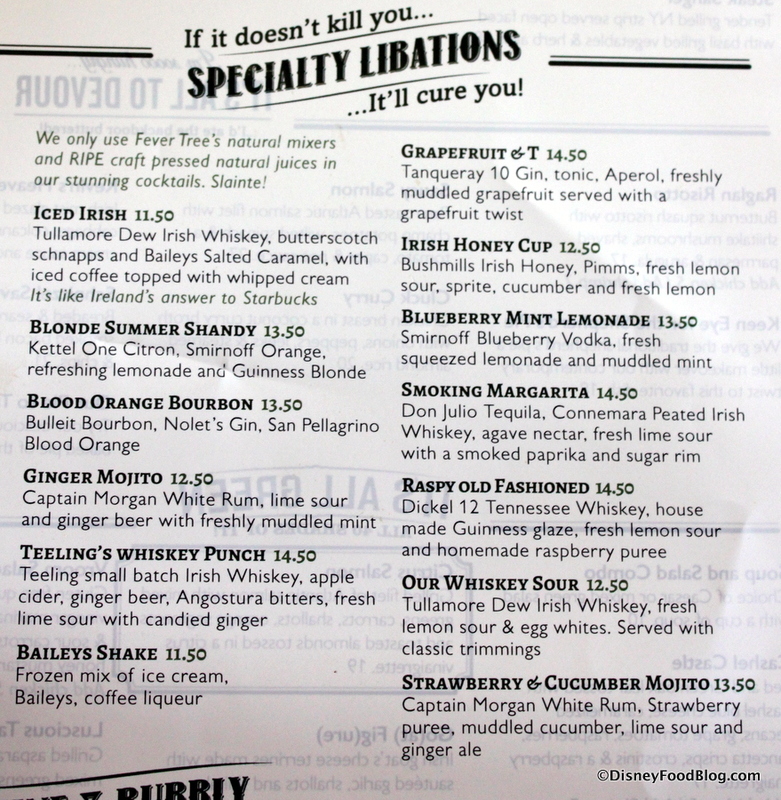 The Blood Orange Bourbon sounds amazing! I’ll have to try it next May when we’re down there. 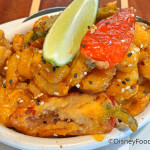 This is one of our favorite restaurants – we eat there at least twice every time we’re at Disney. 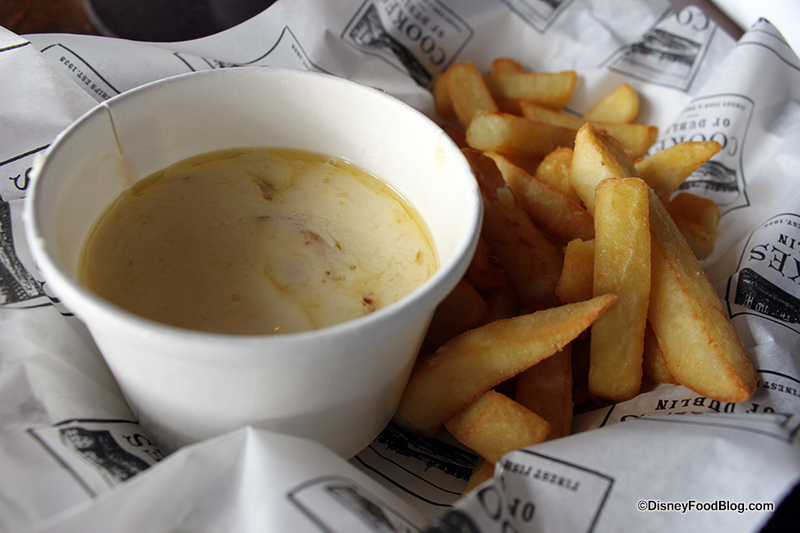 We’ve tried almost everything on the menu, but I always go back to the fish & chips. I have a gluten-allergy and this is the only place I can get good (no, delicious!) 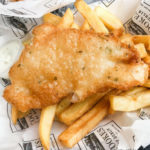 gluten-free fish & chips. We’ve always enjoyed the food, service and atmosphere and looked forward to stopping in every time we went to WDW but after being treated like crap the last time we went we are happy to leave an extra table open for those who haven’t been dumped on yet! My husband and I enjoyed lunch there last week. We both loved the dipping sauce and bread! I had the Tart Art, which was delicious. My husband enjoyed his Lobster Club!! We both look forward to visiting again on future trips!! We love Raglan Road – the next time you go, you need to check out the Cluck Curry dish. It’s amazing and the chef was nice enough to give me the recipe. 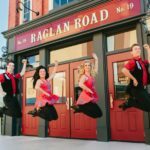 Keep seeing negative comments when you write about Raglan Road. I do hope Kevin Dundon is seeing these. 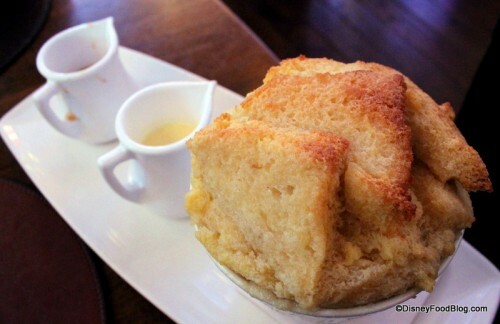 Keith — We have a good overview of the Four Seasons Orlando restaurants in this post. On this blog, we focus on restaurants in the Disney theme parks and Disney Springs/Downtown Disney, and Disney-owned hotels primarily, because those are the restaurants that our readers have told us they’d like to hear about. 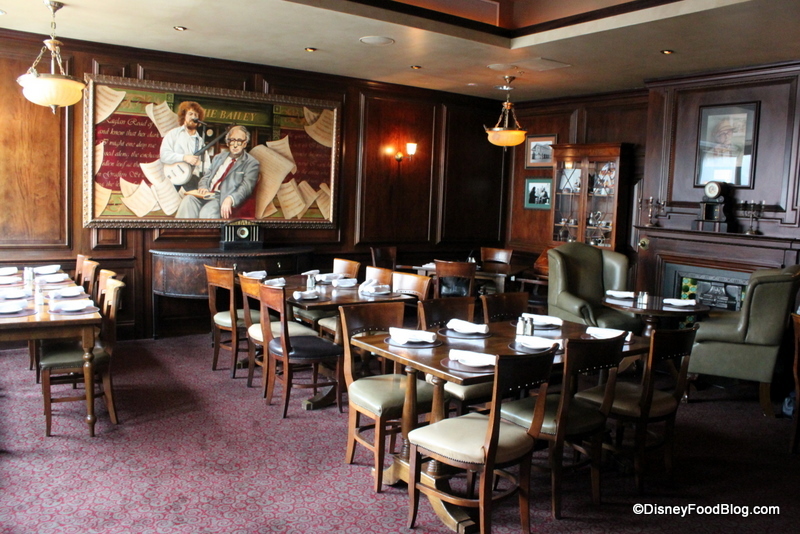 From time to time we’ll feature restaurants that are not located in Disney-owned hotels, or that are in proximity to the parks and resorts but are not Disney-owned. Thanks for letting us know of your interest in the Four Seasons restaurants. We will absolutely take that into consideration as we plan our coverage in the future. Day or night, love Raglan Road. The Four Seasons is not on the regular Disney Transportation Circuit, therefore a majority of us never consider dining there. Your overview on it’s restaurants was more than enough. Thank you. Mark made a comment about “all” the negative Raglan Road comments??? And a bit of a snotty, childish one at that. One of our favorites. Consistent, great food, great staff…. 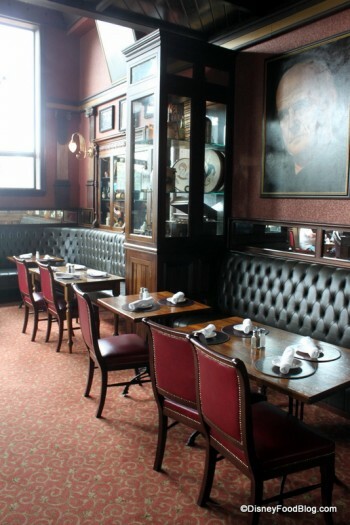 Absolutely adore Raglan Road – we’ve never had a bad meal there and love the atmosphere (at any time of the day). I’m a Brit too, so it’s not like we don’t have a million pubs here – but it’s still one of our few ‘must dos’ each trip. This is the 1st time in a while we won’t be at WDW for the Food and Wine Festival so we won’t be back until next year – I’m so excited to see the Disney Springs transformation as we won’t have been for a while, the difference is going to be huge! That shrimp dish looks delicious! 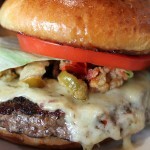 I’ve always heard that the food at Ragland Road is really heavy, but the food in this post looks relatively light! 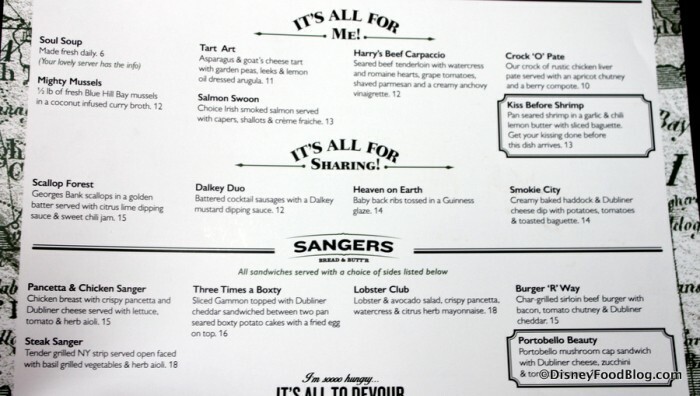 I’m extremely curious about that lobster club… looks like something I would either really love or really hate lol! Might just have to try it! 1st time I ever paid $18 for a glass of wine! I was waiting to meet an old friend here while my family and I were staying at Disney and ordered a glass of Chardonnay. If it’s not aged in oak, it’s not Chardonnay, right? So I put a $20 on the bar and imagine my shock when he returned just 74-cents (6% tax included) in front of me. It was served in an over-sized wine glass so the standard 5 oz. pour made it look like there was very little wine in the glass. When my friend got there, his pint of beer was $8. I realize Disney is expensive but this borders on outrageous. The wine was supposed to be a reserve Chardonnay (that’s a marketing thing) and frankly it wasn’t anything special. Certainly not worth $18! I later checked the drink menu (should have done that first) and the non-oak Chardonnay was $12. Bottom line – if you’ve got money to burn this place is for you. @Raymond, I agree about the prices but you have to remember there is a Disney ‘tax’ placed on companies doing business there. Raglan Road isn’t that expensive if you take the tax in to account. I never really thought of this as a lunch destination, but I’m glad to read after this that they don’t offer entertainment during the daytime. 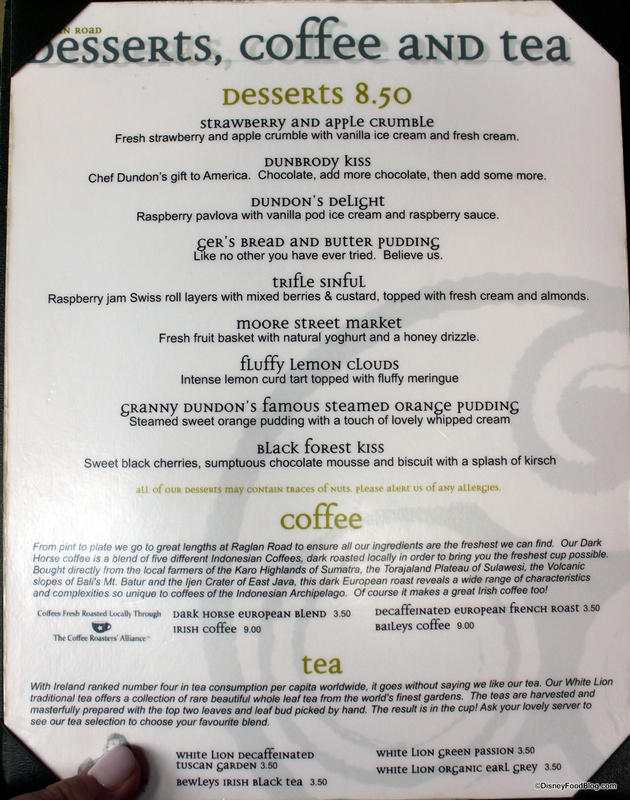 Even though some of these food offerings look interesting, IMO Raglan Road is meant to be enjoyed while it’s rowdy and noisy. One of my best Disney memories is when the cloggers came out and danced with our kids. Your mileage may vary.